Last year I bought this popsicle mold from Amazon. It is the best thing since sliced bread I tell ya. I am in love with it. 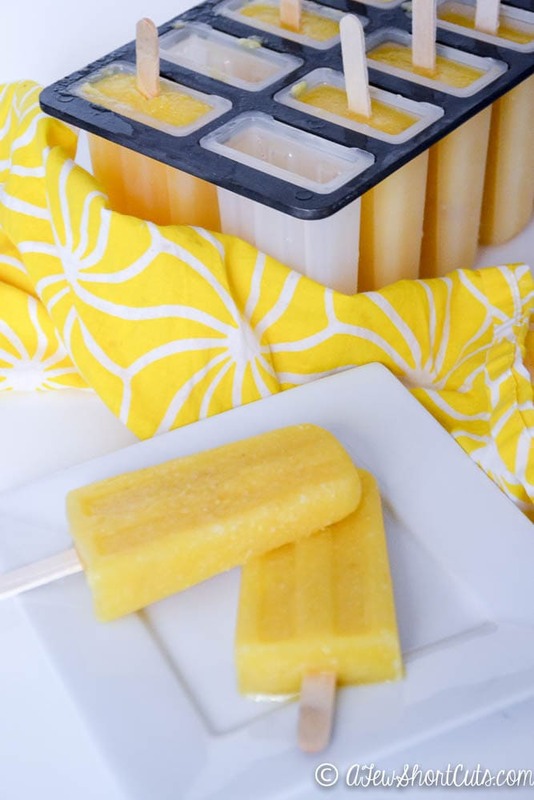 I have had cheaper popsicle molds in the past. This is, by far, superior in every way. I love how the lid holds the popsicle sticks into place. Best mold ever! 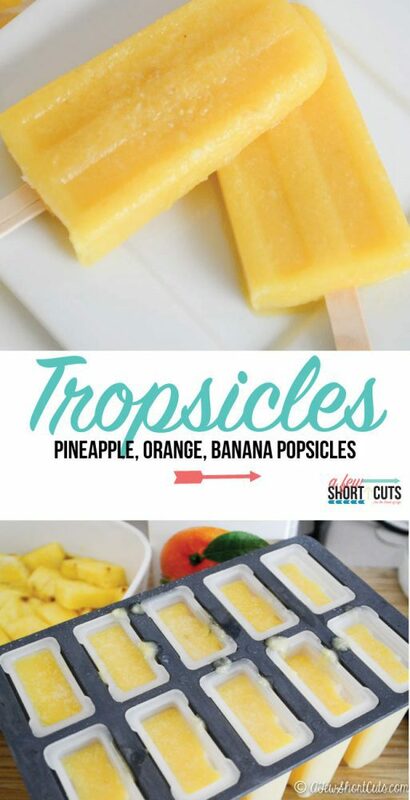 For these Tropsicles, I just tossed a banana, some fresh pineapple (you could use frozen or canned), orange juice, and a bit of coconut milk in the blender. Pureed, and then poured into the mold. Once frozen we ended up with these for a sweet treat! No added sugar, or food coloring. 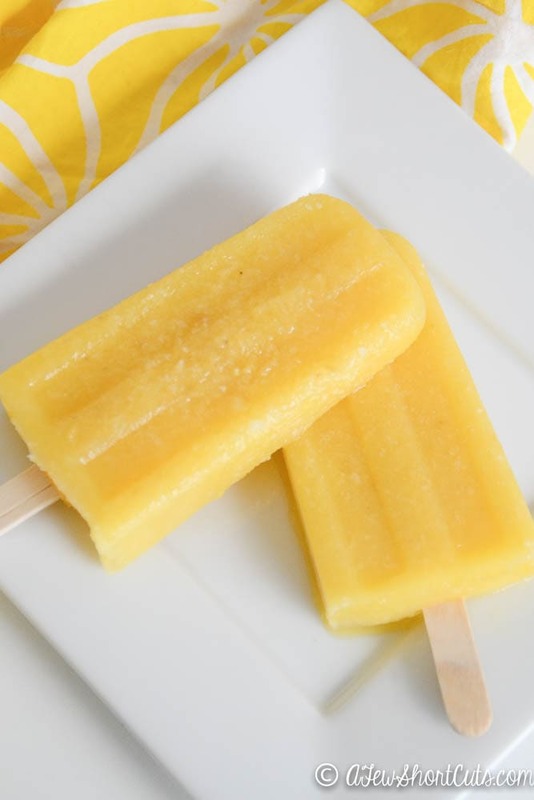 Just a tasty treat for a hot day! Puree all of the ingredients in a blender. 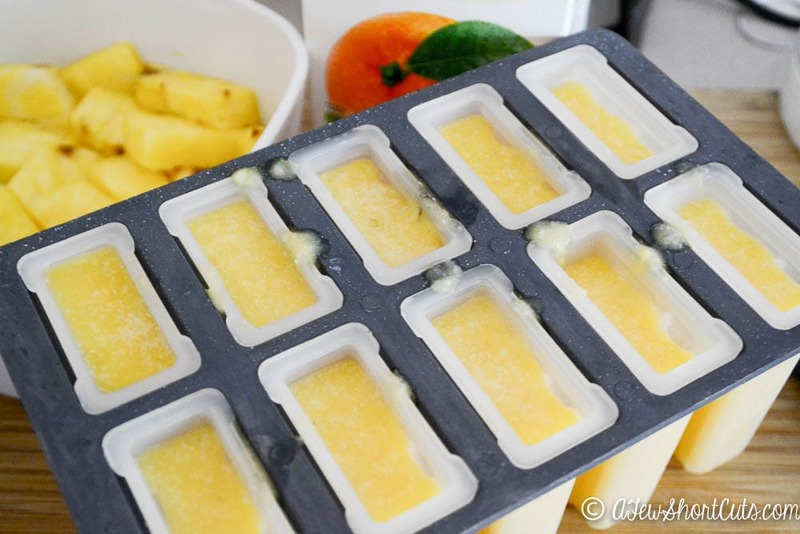 Pour into popsicle mold and allow to freeze throughly over night. Remove from mold and serve.